Press Release (ePRNews.com) - TORONTO - Nov 05, 2018 - ​​​​​​​​Against a backdrop of shifting demographics and marked changes in evolving travel trends across generations, Solo Traveler, the definitive resource and community for those who travel alone, today announced the results of the 2018 Solo Travel Awards. The Solo Travel Awards are designed to acknowledge companies that are effectively serving the solo traveler. Today’s results show the marketplace trendsetters. This year, for the first time, awards are being given in the River Cruise and Ocean Cruise categories. 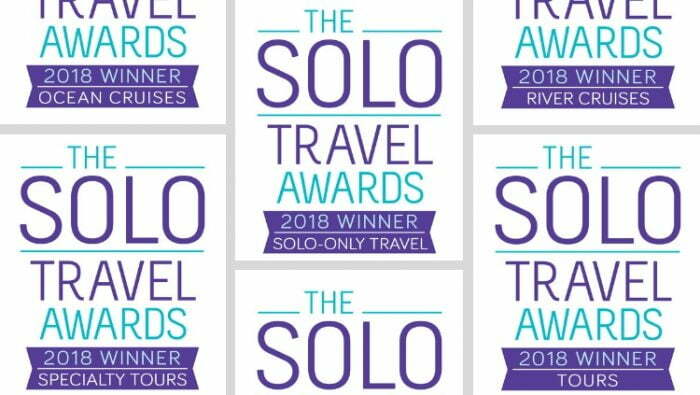 We’re pleased to see new companies nominating themselves for the Solo Travel Awards this year. However, there are still too many barriers for solo travelers, despite the overwhelming evidence of the upside for the industry to serve this market. We’re going to continue to advocate for the solo market and are looking forward to using the insight we have gained from our global community to help companies capitalize on one of the most important and emerging travel trends. With the support of their premier sponsor, World Nomads, Solo Traveler enlisted the expertise of esteemed judges and influencers in the sector to deliver the Solo Travel Awards. Whether prices are published based on single occupancy or only double occupancy. Whether solo spaces are limited and if so, how many are allocated for solo travelers. Whether special services for solo travelers are provided before or during trips. The awards pointed to both best practices and unacceptable practices, according to Solo Traveler. Unacceptable – Most tours and cruises are sold based on double occupancy. When solo travelers book such trips, they are frequently penalized by a fee called the single supplement. This additional fee could be up to 100% or more, discouraging many people from traveling. With the number of people traveling solo on the rise, both travelers and travel companies miss out when there is a single supplement. Best practice – Have a dedicated page on the website for solo travel and make it easily found in the menu. Best practice – Price trips for singles and doubles so that it is easy for a solo traveler to determine their expense and whether they are being charged a single supplement. Best practice – Special services for solo travelers such as welcome receptions, communal tables, closed Facebook groups for travelers to meet before departure, and extra support during free time on tours are being offered by leaders in the solo travel market. Solo Traveler,established in 2009, is regarded as the definitive resource and community for those who travel alone. Over 300,000 travelers from 159 countries engage with the community every month. The Solo Travel Awards were launched in 2017 to recognize companies that are effectively catering to the solo travel market. The 2019 Awards will open in April. World Nomads is a fast-growing online travel company that provides inspiration, advice, safety tips and specialized travel insurance for independent, volunteer and student travelers traveling and studying most anywhere in the world. Their online global travel insurance covers travelers from more than 150 countries and allows you to buy and claim online, 24/7, even while already traveling. While they are not a healthcare provider, their insurance focuses on what is really important to the traveler: emergency medical and evacuation costs, baggage, trip cancellation costs, dental and personal liability (depending on the customer’s country of residence … please read the policy wording for full details on what is covered). They also cover more than 200 adventure activities and tech gear. Their policies are underwritten by a global suite of premier-tier insurers and emergency assistance providers making them the No. 1 choice for many of the world’s leading adventure and youth travel brands.